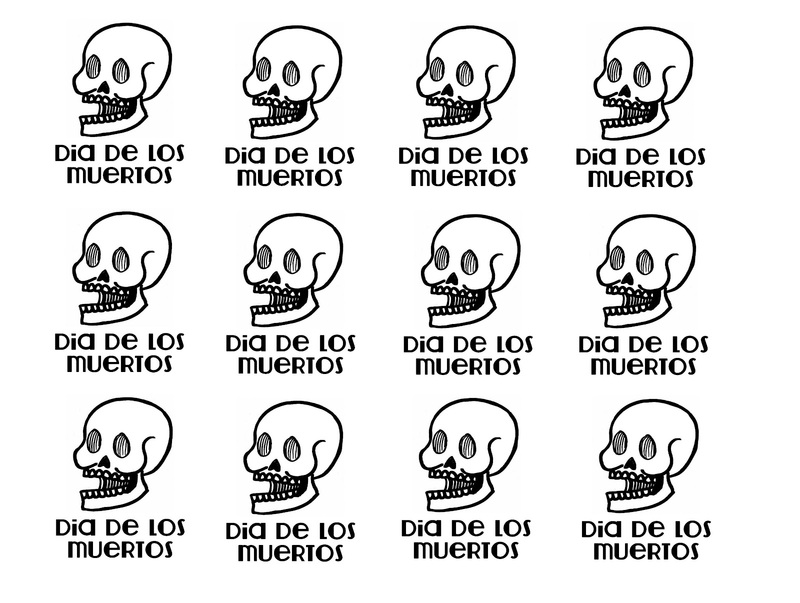 Dia de los Muertos is November 1st and 2nd and party planning is already in heavy action! 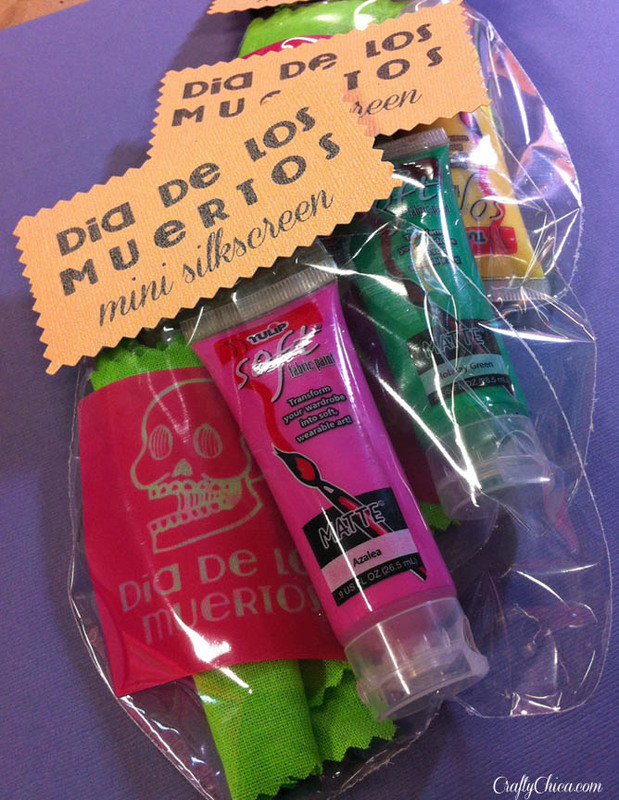 If you're looking for a super cool party favor to hand out to your guests, I have the perfect idea! 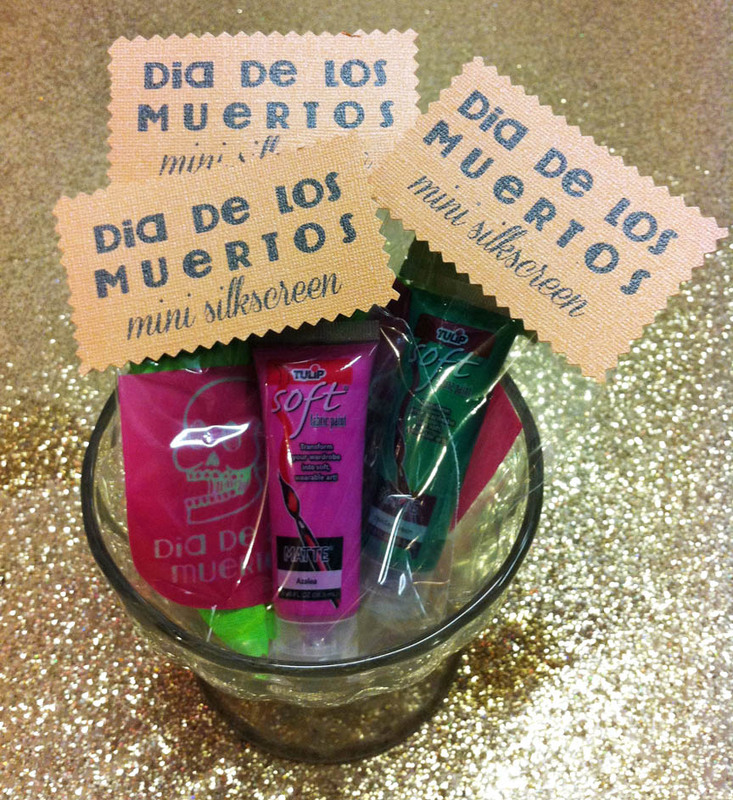 Think about it, everyone can take home a mini-DIY kit and can celebrate Dia de los Muertos in their own artful way with their own cutemini-screen. 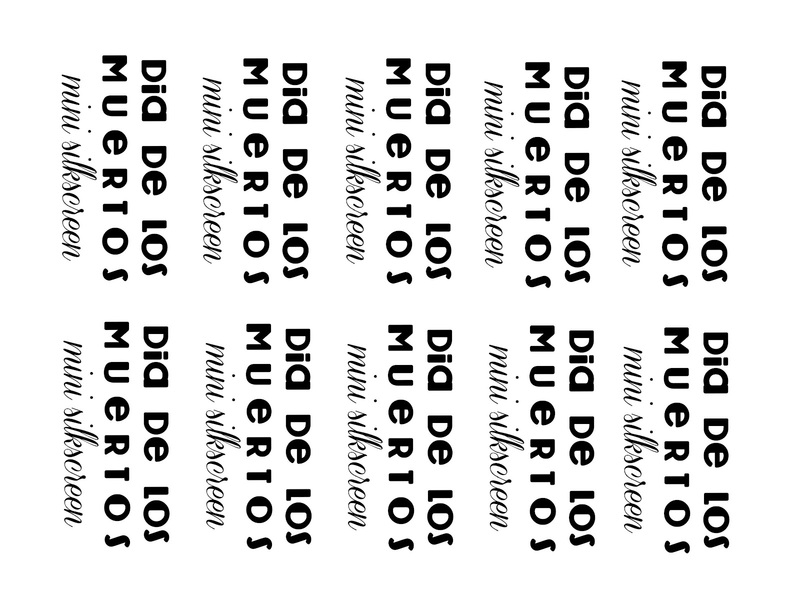 To make it even easier for you, I'm including printable graphics that you can download to use (for personal use only). Cut up the images, make sure to leave a border around the edges for them to add paint. 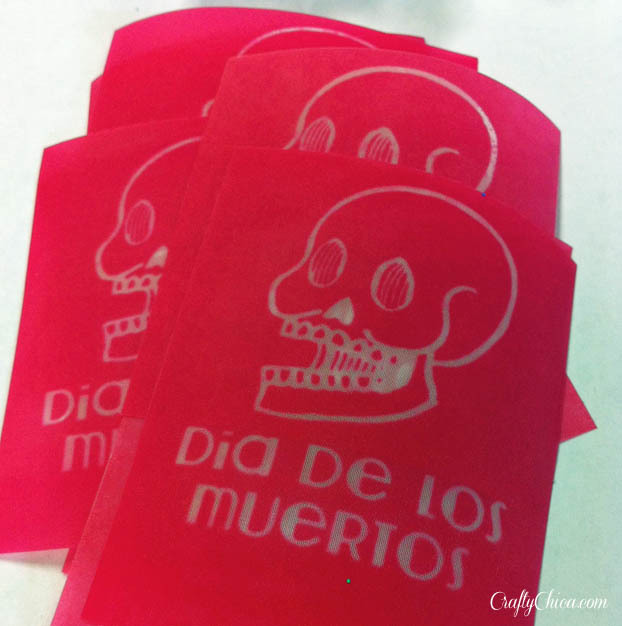 Print and cut your labels, get the bags and paint ready. 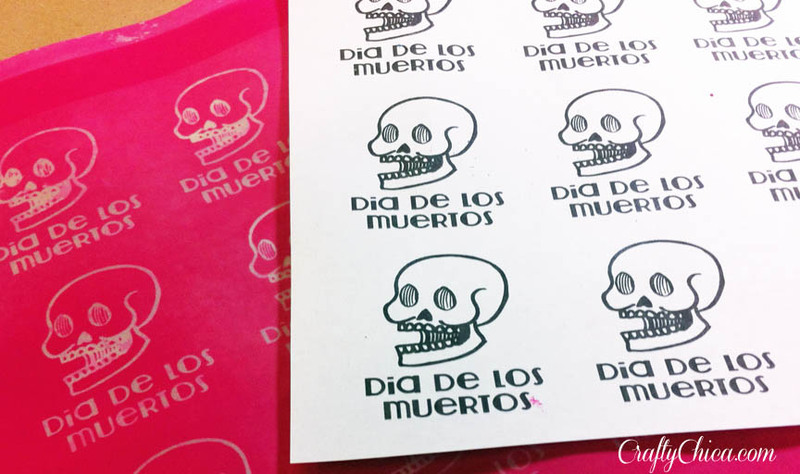 If you want, you can print a sample on a fabric swatch OR you can insert a blank swatch so they can do it themselves later. 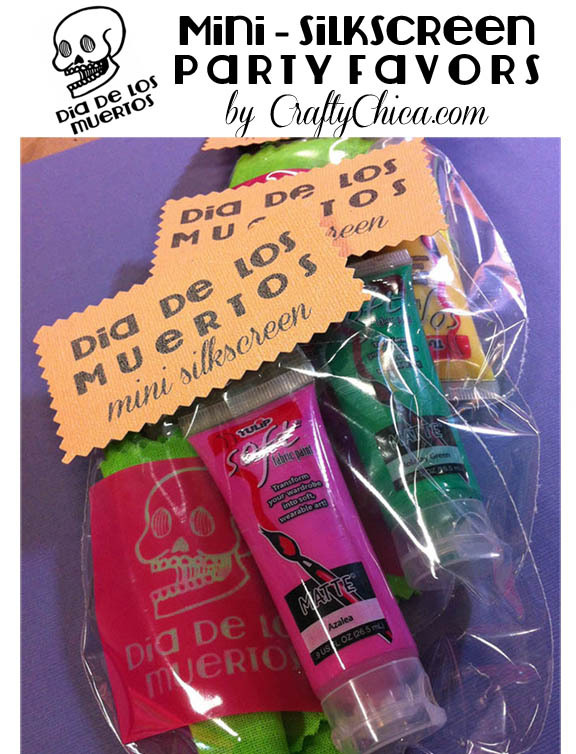 Put all the goodies in the bag, you can also add a little paper with directions if you want. Let them know to rinse their screen after each use so they can use it over and over on fabric, paper, lots of other surfaces too! Put them all together in a bowl! 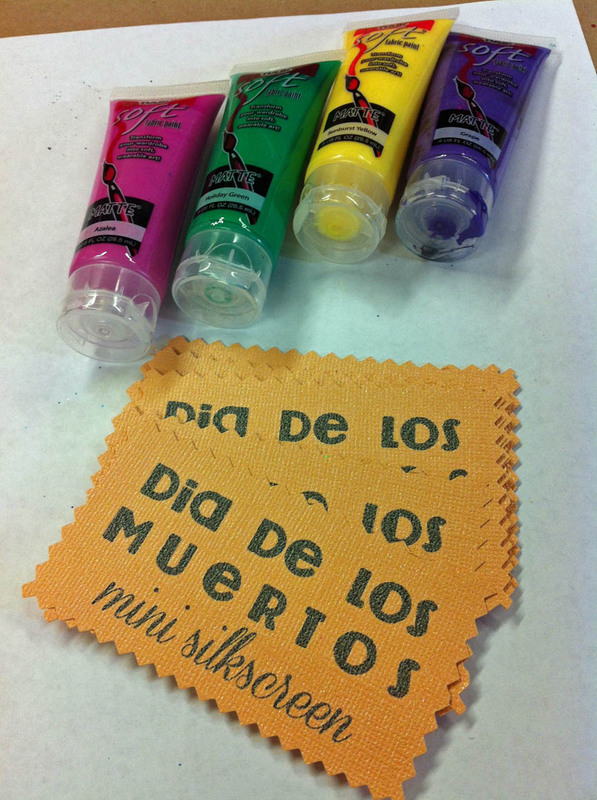 You can have a silkscreen activity at your party, or they can take them to go. IDEA: You can do this same concept for all kinds of events and parties. Maybe burn a silhouette of your party guest, or a name, etc. The screen is big enough that you can cut out multiple designs. 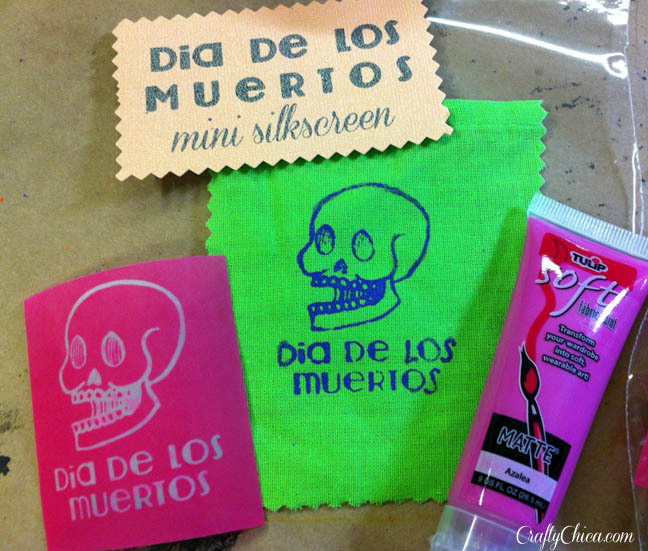 That is good idea how to use silkscreen on the party. Hello, I do more appreciate your blogspot.Could you give a link forum. As for me, only advices from https://nerdymates.com/blog/capstone-project-ideas will help you to write high quality capstone project. Here you can find interesting ideas.